Get ABCmouse For 60% Off For A Limited Time! Hurry and grab ABCmouse for 60% off before it ends! Not sure what ABCmouse is or if your child will like it? I’ll show you how to get it FREE for 30 days! It is the best learning program for kids ages 2-8 and it’s loaded with fun! I have shared with you the pros and cons of ABCmouse before and why we love it. It’s an amazing program for kids ages 2-8 and it’s packed with educational, kid-safe fun that you don’t have to worry about monitoring for bad stuff popping up as you do on other apps and games. There are no in-app purchases so you don’t have to worry about your child running up a $300 bill that you’ll be surprised with when your bill comes. It is just clean, safe, educational programs that your kids will have FUN playing and right now you can snag it for 60% off! You’ll have to hurry though because this sale starts today and ends on 10/22/18! With the 60% off sale, you’ll snag an entire YEAR of ABCmouse for just $45!! That’s an insane savings and this is definitely the time to buy as it’s the lowest price I’ve seen yet. Not sure if your child will love ABCmouse as much as mine does? You can also snag ABCmouse for FREE for 30 days by clicking through my link. It’s a great way to try it out and see if it is a good fit for your family. 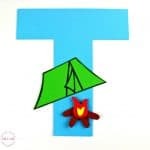 I’m sure you will love it as it is packed with loads of educational content and they are always adding new content so your child doesn’t get tired of it like other apps and games. Get 2 Months of ABCmouse for Just $5! If you know you love ABCmouse and you want to have more than 30 days but aren’t ready to commit to a year, then grab this crazy deal and get 2 months of ABCmouse for just $5! It’s an amazing savings and you really can’t beat that price. These are all of the very best ABCmouse discount codes and deals that are currently available! Be sure to check out my complete post on ABCmouse and all the benefits it has to offer. Snag one of these deals before they are gone! I haven’t seen a bigger discount on the annual membership so now is the time to grab it! How To Get ABCmouse FREE + Does It Live Up To All The Hype?? 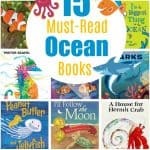 15 Ocean Themed Books For Kids You Must Read! 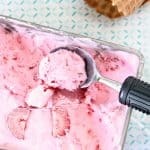 How To Make Homemade Ice Cream With Your Kids!